This container was perfect to package my cake slices for a bake sale. We also used them to make a veggie assortment. Great quality. Recommended. A must have for my kitchen. No washing to do after use. Great for sending off individual samples of food for guests. 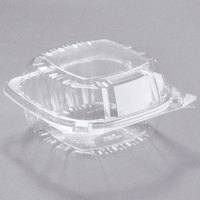 The smaller size is really great for small leftovers or for little junk in the junk drawer. They are not just for food. They can be used in every room.